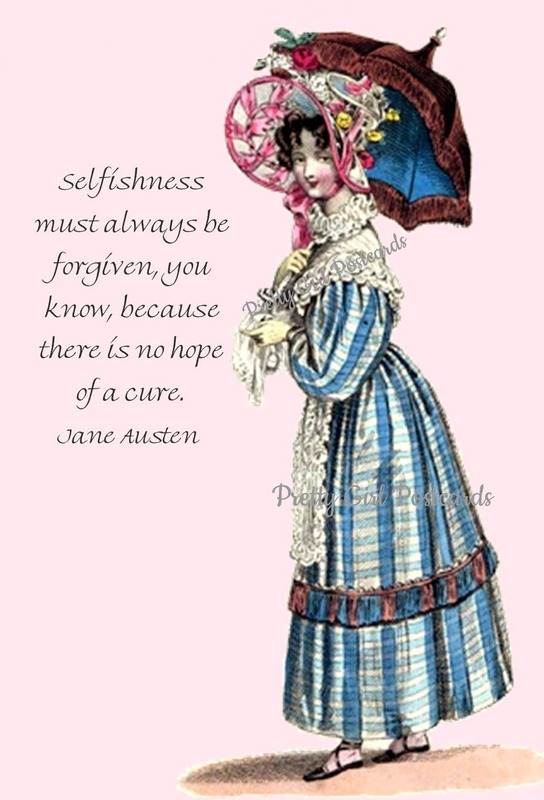 JANE AUSTEN QUOTES POSTCARDS ~ We are most proud of our Jane Austen Quotes Postcards. “It is a truth universally acknowledged...” that Jane Austen knew what to say and how to say it. Now you can say it, too, with our lovely ladies quoting the fabulous Jane Austen.